Hannover Fairs Australia has recruited former Australia and New Zealand Facebook CEO Stephen Scheeler as the new chairman of CEBIT Australia, the Asia-Pacific’s most significant B2B innovation and technology event to be held at Sydney’s International Convention Centre next year from 29-31 October. The appointment of Mr Scheeler is part of a wide range of measures by Hannover Fairs to refocus CeBIT Australia, which is sponsored by the NSW Government, to better engage technology users and buyers. “The changes being driven across CEBIT represented an opportunity to be part of creating an event of real value for everyone impacted by digitisation," Mr Scheeler said. "Connections aren’t made wandering the aisles of an exhibition any more, they are made during shared experiences, in the depths of a hackathon, working alongside like-minded individuals to achieve common goals. "The people I observe across my industry want to develop themselves, grow their businesses, solve their challenges, meet that one person that can open the next window of opportunity. Eight advisory committees have been tasked with building the framework of the 2019 event with more than 100 cross-industry representatives from areas including the future of industry, digital pioneers, technology gurus, technology innovators, startups and women in tech contributing their best ideas to the event. Next year's CEBIT Australia will be held for the first time in October to utilise the warmer spring weather and longer days for the outdoor component of the program. It will include new interactive activations onsite, hackathons, innovation camps, innovative speakers, outdoor displays, and CEBIT after hours networking social events. CeBIT Australia Managing Director Harvey Stockbridge said Mr Scheeler was one of the top innovation leaders in Australia with an incredible range of experience gained through shaping the ANZ Facebook business into one of the most successful Facebook markets in the world. "He is a perfect fit to lead the growth and development of CEBIT Australia as it enters this exciting new era, representing the capabilities, culture and leadership that we must all embrace," Mr Stockbridge said. “Technology is a disruptive influence across every industry and one of the great challenges of the next decade will be for both legacy and startup businesses to navigate the breakneck pace of change technology is enabling. "CEBIT exists to connect the dots between the challenges this creates for industry, and the innovators that are striving to deliver the solutions. 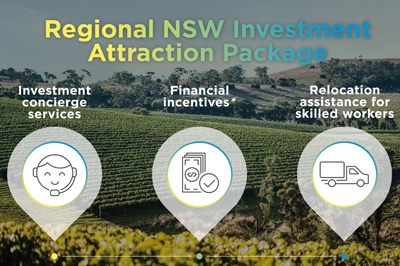 NSW Minister for Trade and Industry Niall Blair said it was a priority for the Government to continue to support the growth of the state's technology sector. "As the innovation capital of Australia and leader in the information and communication technology (ICT) and startup sectors, Sydney is the right home for major tech conferences like CeBIT," Mr Blair said. 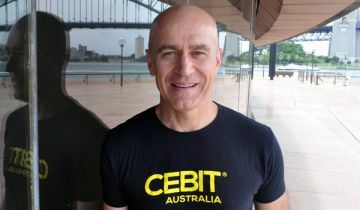 "The new-look CeBIT Australia will continue to build on its reputation as a platform for industry leaders looking to boost their business and grow their international profile."